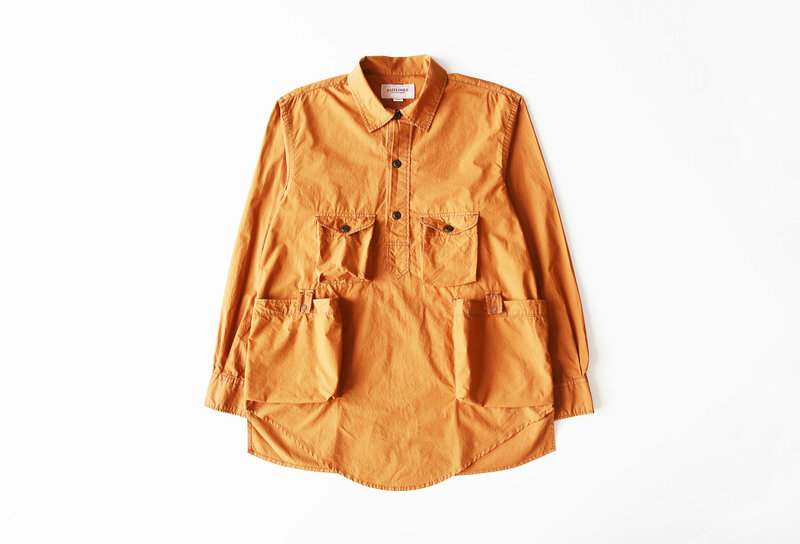 Check this new Eastlogue popover shirt. You’re probably thinking, ‘orange?’ But if, after a second’s consideration, you think ‘maybe?’, then you are almost certainly a gentleman of rare wisdom. Typically many of us gravitate to pieces like this in navy. Navy goes with everything. In navy, this shirt would work as a basic under-layer, but it’s also interesting enough to work as a grand-standing outer. That’s in navy. In orange the wheels come off the plan. In orange it’s every man for himself. 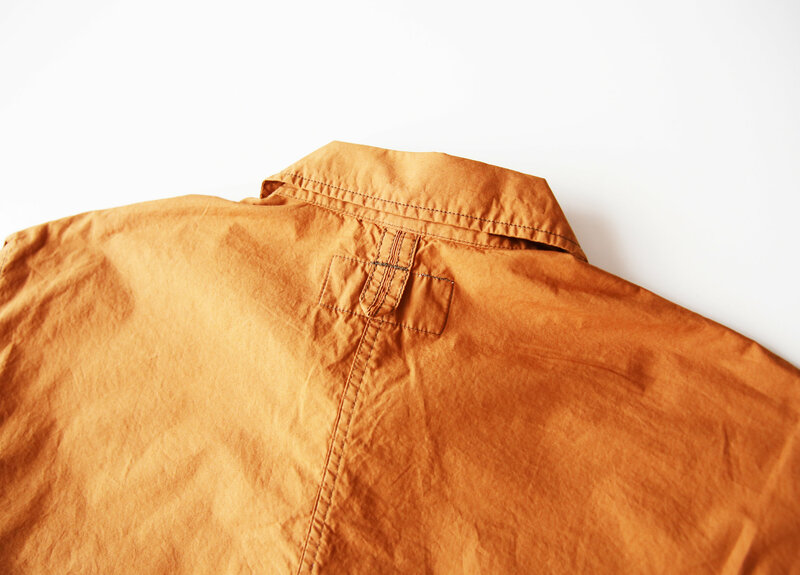 Under no circumstances is this not an orange shirt; there’s no hiding, no playing it down. 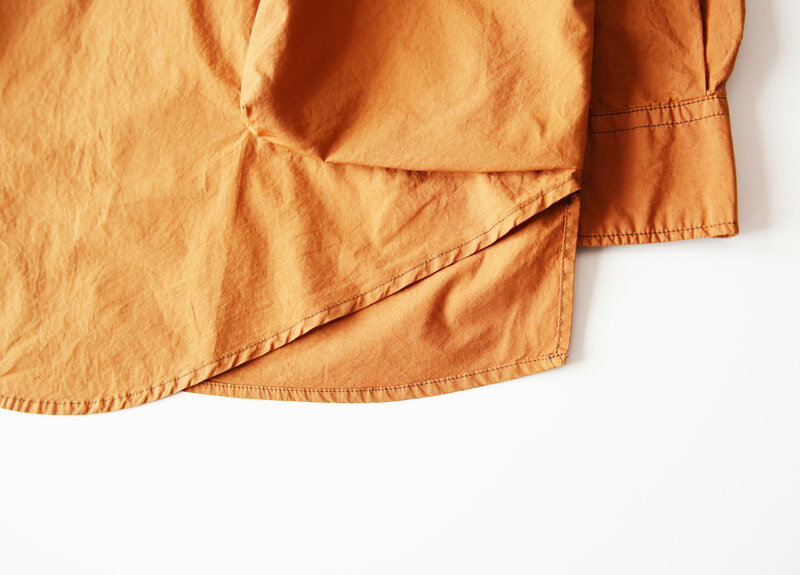 But buying this orange shirt might be your smartest decision of the season. 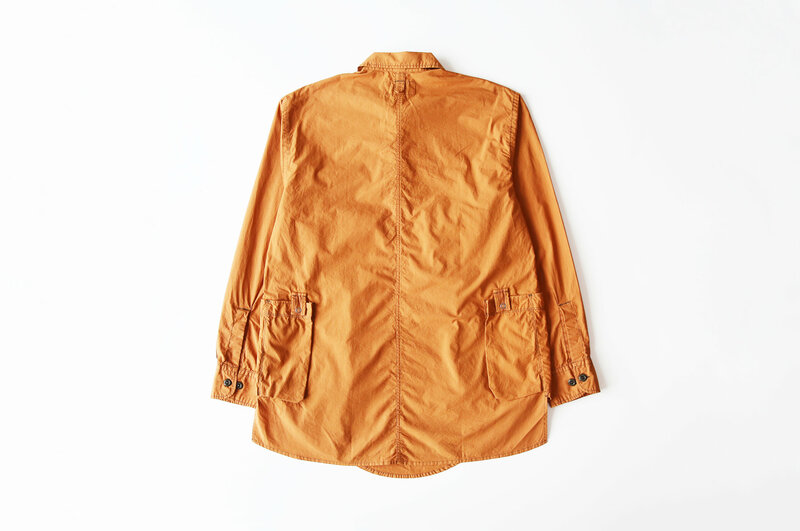 Eastlogue make some fascinating clothing – all puffy pocketing, snap button fastenings and (paying respect to the jargon of technical clothing) little extra, dangly bits. Peep the pocket fastenings and the hanging loop on the back, there they are, little twiddly bits that elevate and intrigue. 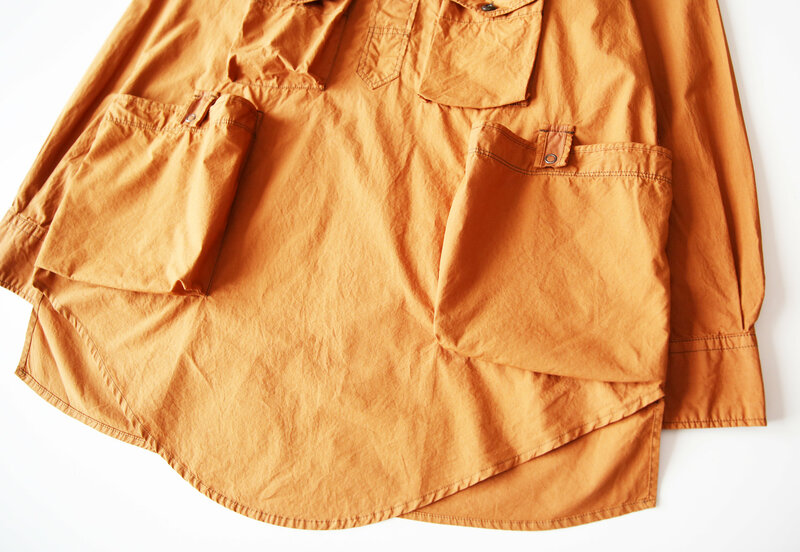 Wearing this underneath a neat, but unstructured blazer would create a perfect opposition. An outside gesture of formality, but within, a maze of utilitarian pocketing and loose-cut, lazy insouciance. This is a look suited to the life of the artfully inspiring. The thinkers. The innovators. The kind of guy who sees “handmade pickles and ferments” on a cafe menu and doesn’t raise an eyebrow at the word , ‘ferments.’ The kind of guy who believes creative expression to be man’s highest calling. The kind of guy who spends 70% of his day trying to download files from WeTransfer.